THAILAND, as Asean chair, will push for conclusion of the Regional Comprehensive Economic Partnership (RCEP) negotiations by the year-end in order to counterbalance the negative impacts of the US-China trade war. Auramon Supthaweethum, director-general of the Department of Trade Negotiations (DTN) under the Ministry of Commerce, said Thailand would benefit from both increased exports and investments from the RCEP agreement, allowing exports to achieve the ministry’s growth target of eight per cent for this year. “China and the US are Thailand’s largest and third-largest trading partners respectively. Hence, the ongoing trade war definitely has a significant impact on Thai exports, which contributes up to 70 per cent of total GDP,” she said. The director-general on Monday spoke during a seminar on Preparing Thailand for the impacts of the Trade War, organised by the DTN and the Thai National Shippers’ Council TNSC. Last year, Thailand’s exports to China stood at $30.175 billion, making up 11.95 per cent of the Kingdom’s total exports. Meanwhile, exports to the US stood at $28 billion, making up 11.09 per cent of total exports, according to the DTN. The negative impacts on Thai exports from the trade war are starting to be visible with some Thai exports to China showing a contraction. For example, from July to September last year, exports of automotive engines to China fell by 23 per cent, turbines by 85 per cent and machine components by 84 per cent compared to the same period in 2017. While the US and China have erected trade barriers, Thailand’s strategy in coping with the trade war is to move in the opposite direction and advance free trade agreements (FTAs) to boost exports. If the negotiations are successful, RCEP will be the largest multilateral trade pact in history – encompassing China, India, Japan, South Korea, Australia, New Zealand and the 10 Asean nations. She said the combined GDP of RCEP members accounts for up to 28 per cent of global GDP and as much as 30 per cent of the value of world trade. In 2017, up to 60 per cent of Thai exports went to RCEP countries, according to figures from the DTN. “Concluding the RCEP negotiations is one of Thailand’s top economic priorities as this year’s Asean chair. 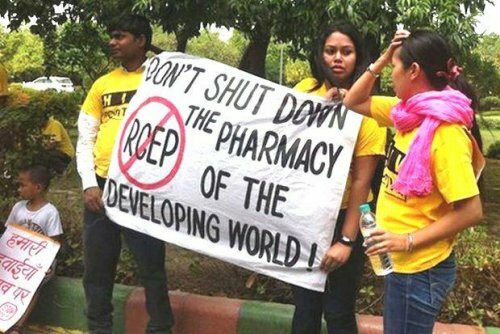 RCEP negotiations have been going on for seven years and we are determined to conclude the mega-trade pact by the end of this year,” she told reporters. There will be up to eight RCEP negotiation meetings this year, with at least four Trade Negotiation Committee TNC meetings between the prospective RCEP members, according to Auramon. In a volatile and uncertain trade environment this year, the DTN will also be working on three other bilateral trade deals in order to boost Thai exports. Thailand has also begun talks with Sri Lanka, Turkey and Pakistan for bilateral FTAs. The DTN aims to finish drafting the terms of the FTAs with the three countries by the end of this year. “We expect the FTAs will be signed and enacted in 2020,” Auramon added. However, it is unclear whether Thailand’s FTA strategy will finish in time to mitigate the negative impacts of the US-China trade war, which may escalate further after the 90-day halt on imposition of new tariffs by the two superpowers. Hence, even if RCEP is concluded by the end of this year, the positive impacts on trade and investment may not be seen until next year. The Ministry of Commerce’s 2019 export growth target of eight per cent is already seen as too optimistic, as predictions by other institutions like Siam Commercial Bank’s Economic Intelligence Centre, Kasikorn Research Centre, and the National Economic and Social Development Board have forecast exports to grow only by 3.4 per cent, 4.5 per cent and 4.6 per cent this year.